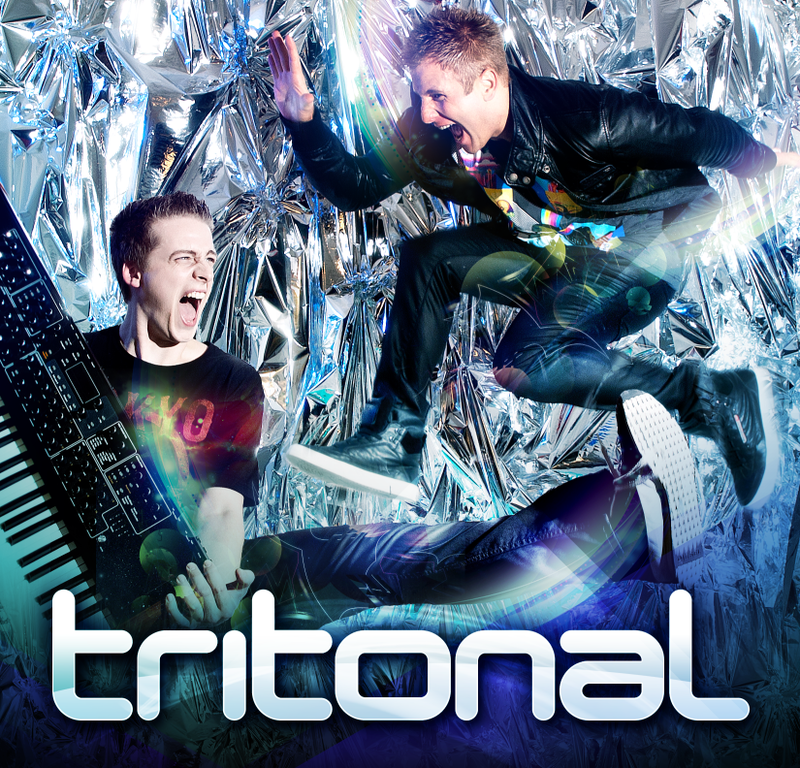 Glance down the top 100 DJ lists from recent years and you are bound to see Tritonal. We have been following the duo, for a few years now, since we learned they were FL Studio producers. Chad & Dave took some time out from their very busy schedules to answer some questions about their music. Tell us how you guys met? We started working together after we started sharing our music online! We like to joke around saying that we met on an online dating service haha! Well, I'm originally from Washington, D.C. and Chad from Texas, but we really met on the Virus Ti hardware forums geeking out over the issues the unit had had at the time. We were trying to fix what we could while, at the same time, producing music with the unit. In doing this, we would chat nearly every day about sound design, compositions and continue to share what we were both individually working on. Chad: Well like so many kids, I first heard the music at parties when I was 14-15 yrs old. It was such a new sound back then, that I really gravitated towards it. Early on it was Josh Wink, Chemical Brothers, Prodigy, Fat Boy Slim, Crystal Method and the likes that were really bringing electronic music to us. We obviously went deeper right away with guys like Sasha & Digweed, Chris Fortier, Carl Cox, Sander Kleinenberg, Paul Oakenfold, PVD and other Legends. Instead of buying turntables and mixers like all of my friends, I saved up money for a Roland 505 Groovebox and a KORG TRITON. Writing beats, seemed the only logical thing to do! Dave: I really just love music - all of it.. no matter the genre really! If it's good music, it's good music right? :) Much of my family was involved in it while I was growing up; my mom loves to sing and my father had been a radio DJ for 10 years, my sister now teaches piano lessons. With all this, I noticed when any piece of music had a good melody or a melody that I remembered, I started to realize how many melodies of my own I had floating around in my head and wanted to learn how to make them come to life! My musical tasted expanded from classical to rock to dance music to even chill-out. I was listening to records from all over the board - Pink Floyd, Snap, Ace of Base, U2, Genesis, Led Zeppelin, The Police and even one of my all time favorites, Cold Play. Then when I got my hands on the Ibiza 1999 compilation from way back (Vol. 2 to be exact) , featuring artists such as Gouryella (Ferry Corsten & Tiesto), Art of Trance, The Generator, Agnelli & Nelson and even Binary Finary, I flipped out at how incredible it was - It was such a melodic rush! That's when I knew trance/EDM music was part of my heart and soul.. I was completely addicted to it and now music is such a big part of my life. How did you both start using FL Studio? Chad: I was first and formost a Mac guy, using Logic Pro and Live avidly. 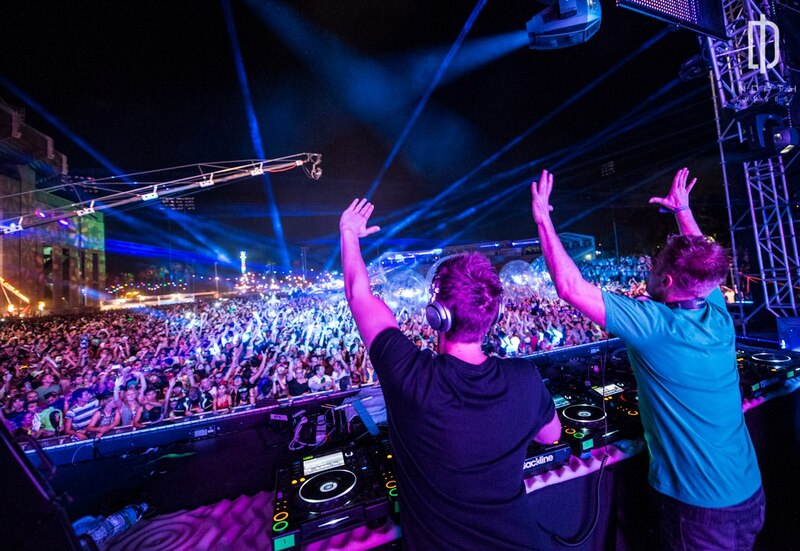 When Dave and I started working together on Tritonal, he really showed me the power that FL Studio could offer. I was hesitant, b/c if Im honest I just don't like the aesthetic of PC's in general - but we were able to whip up some pretty fly grooves using basic FL techniques rather quickly. Since then we've used it for a host of things, and continue to harness its power on tracks. Dave: I started using FL Studio nearly 10 years ago - back when it was titled "Fruity Loops"! The funny thing is, before I got into the Fruity Loops software, I was using ReBirth and Orion by Synapse Audio. Back then, I was so desperate to record what I was writing that I would take the headphone output from my computer and wire it to a tape recorder to record what I was doing live, as one of their software limitations was that you couldn't export your audio or save it haha! I completely fell in love with FL Studio when I was introduced to it by a friend of mine. I loved the fact that even in the demo mode, I could at least keep my project window open all day and all night and actually mix down what I made! No more having to record to tapes YAY! From there on out, FL Studio became the very vein to my musical personality. As I was producing in it, I became inspired and remained inspired. It was a pure dream coming true to me! Into many years of using this software, I had a full out artist album I was working on to pitch to Armada. Through this, I learned many of the terminologies, techniques, tricks and sound design structures that I took with me into many other DAWs (Digital Audio Workstation). Even today, FL Studio has been the powerhouse behind many of our productions as Tritonal and remains a go-to production tool! Chad: Well I have a big ole fatty Mac, I use an Apogee Ensemble interface. I have the Dynaudio Air 15's as my near fields, a Virus TI2, an Axiom Pro 61, UAD QUAD OMNI2, and all the software you can shake a stick at! Dave: Today, I own both a PC and Mac in a professional acoustically treated environment. My PC runs FL Studio and ProTools and my Mac runs Cubase, Ableton Live and Logic. Over the years, I've collected a handful of software plugins; I've been equipped with many of the FL plugs, Native-Instrument's: Massive, Absynth, FM8, Kontakt, KORE, etc, WAVES Plugin Suite, ReFx Vanguard and Nexus, Z3TA, V-Station, FabFilter, too many to name! As far as hardware synthesizers go, I've gone through a Roland JP-8000, Dave Smith Prophet 08, and of course, my Access Virus Ti! Other hardware includes, a Digi003 unit from Avid for ProTools, Focusrite Liquid mix, M-Audio Axiom midi keyboard, Mackie Big Knob for studio control between the monitors and the Apogee Ensemble as my studio output device. The studio also includes a 5x5 treated vocal booth with a Blue microphone for our vocalists.